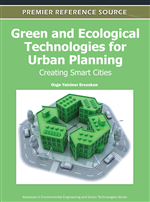 Many metropolitan cities have been faced with sustainability issues at the beginning of the twenty-first century. The problems are related to several subjects. Two of them are essential for the sustainability of townscapes: one is the subject of visual sustainability of the character of a townscape, and the other is the sustainable development of the city and its relation with the urban form. Overcoming the difficulties arising from the improper use of city’s resources can be possible by understanding the true nature of its urban form, how urban landscapes have developed historically, and which processes have shaped their forms. Typomorphology is a method for understanding the character of the urban form. It reveals the physical and spatial structure of cities. In this work, typomorphological method will be introduced, and its importance will be discussed according to sustainability of townscapes. Cities are the best-known cultural products of the mankind so far. They include much potential about their society. It is also possible to analyze them considering their community structure or vise versa. Thus, there is a mutual relationship between the fabric of the society and the organization of the cities. Towns can be categorized not only its geographical or cultural characteristics but also their demographic structures – cosmopolite cities, megacities, metropolitan cities etc. These qualities indicate city’s multi-cultural and crowded framework. The framework contains residential, business, recreation, sport, transportation and dockland areas. Lots of cities have an extensive history; they were constructed as a nucleus then transformed to a large metropolis such as city of Istanbul. Increasing labor possibilities and global economical pressures noticeably affect the urban landscapes of the historical cities. Therefore, rapid population and urban growth has changed the planning of the many of them and caused to unplanned urbanization, consuming resources and deformation of the historic city centers. Many towns have also growth to the suburbia without any planning and occasionally turned to the shantytowns. Unfavorable developments in the character of the cities force us to think extremely about the sustainability of the resources for the future generations. Sustainability is a comprehensive subject and according to widely accepted view it is related with the preservation and the continuation of the ecologic, economic, social, cultural and physical values of the cities. This work will focus on sustainability of the urban form or townscape because of its symbolic character relative to its culture. The functions, socio-cultural networks, geographical positions, climate and their evolution in the time are the main determinant factors of the townscapes. We can deal with the different townscapes of two important cities: New York, Manhattan Island and the city of Amsterdam as an exemplar. As a business area with the recent history and the cubical architectural character, Manhattan Island has a distinctive townscape structure (Figure 1). On the other side, city of Amsterdam, with its different topography enriched with the canals, long historical and architectural past, colorful materialize environment, has a counter townscape effect (Figure 2). One of the well-known theories about the analysis of the urban landscapes is urban morphology. In few decades, typomorphological works have extended the field by emphasizing the typological contribution on morphological analysis of the urban fabric. Works on the morphological characteristics of the urban landscapes can also shed light on the sustainability of the urban form or townscapes. This work will begin with emphasizing the elements of the townscape according to different theories; afterward, theoretical approaches of the urban morphology and typomorphology will be analyzed then effects of these theories will be evaluated in accordance with the sustainability of the townscapes.